I used to be pretty good at book reports – but it’s a bit different when reviewing a “God” book for a friend – one wants to do it much justice even IF one’s to-read pile is high and life is busy! Solomon, in his wisdom, said, “There is nothing new under the sun.” Ecclesiastes 1.9 I’m certain every topic has been written on at least a zillion times but what makes a good book better is when you mix it with YOUR story. “Story” pulls the reader in and in essence says This is what happened to me – this is how God came to me – God showed up and showed off – I got through my mess this way. Story pulls the reader in and in essence says This is what happened to me – this is how God came to me – God showed up – I got through my mess this way. 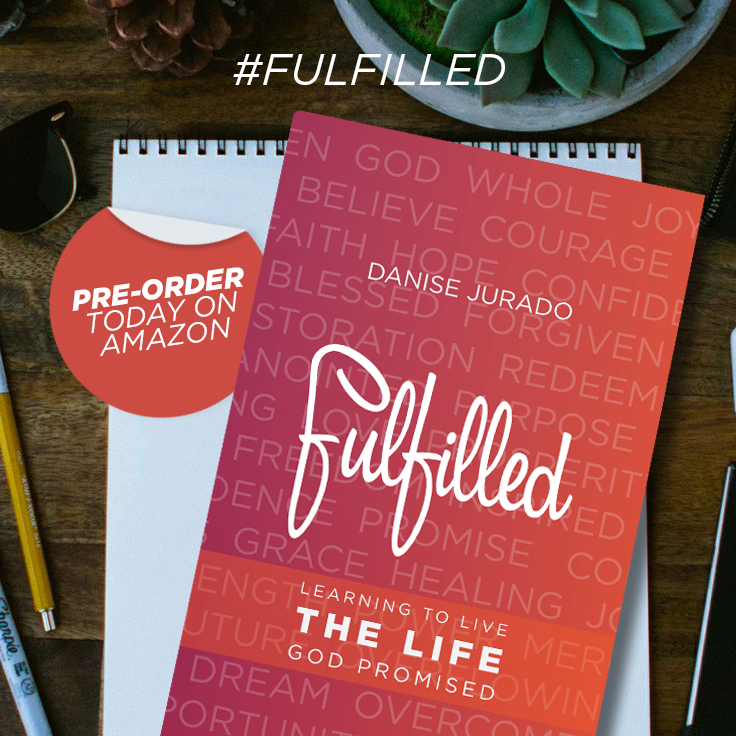 That is exactly what Danise Jurado does in her book, Fulfilled – Learning to live THE LIFE God promised. 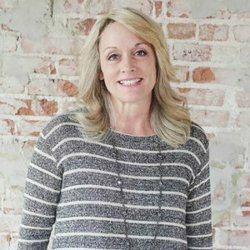 The life journey we are on is laden with trouble and despair and longing and doubt and fear – Danise was no stranger to these road blocks. Her life looked hopeless as she lived with an alcoholic spouse, failing business, repeated theft to their business property but Jesus came in miraculous ways as she learned to trust Him. Ms. Jurado takes the reader along her journey, step-by-step; forgiveness, restoration, truth, breaking free, change, identity, confidence, perseverance, joy, hope, courage, comfort, and finally, living FULFILLED! I am NOT going to give you too much information because YOU need to read it for yourself! For those of you who know me or my blog, you know I am a fool for HOPE! Of course, chapter 10 was my favorite and this quote? It says it all! Do you need some hope? Joy? Courage? Comfort? Do you long to live a life FULFILLED? Then, by all means, pre-order Danise’s book today and get ready to begin your FULFILLED life! Leave a comment and you’ll automatically be entered into a drawing to win your own signed copy! Elisabeth, don’t make a decision until the end of the week! Maybe you’ll win my drawing!!! Oh I love this! Yes – “God heals every broken place He touches.” Amen and Amen! Wait to see if you win!!! YOU WON!!! Email your current address! Woo-hoo! I did. Thanks for lifting me to the throne. You’re so precious.